In case you missed it, check out our primer. Welcome to the world of creative exposures. What do I mean by "creative exposure"? That is an exposure that is properly exposed but where choices are made about shutter speed, aperture, and focal lengths to achieve a creative exposure. Here are some additional definitions from what you learned in the primer. The depth of field is the area in focus, near and far. For example, a specific depth of field might capture everything in focus starting with objects 5 feet from you until 10 feet from you, meaning that everything closer than 5 feet and farther than 10 feet from you will be out of focus. 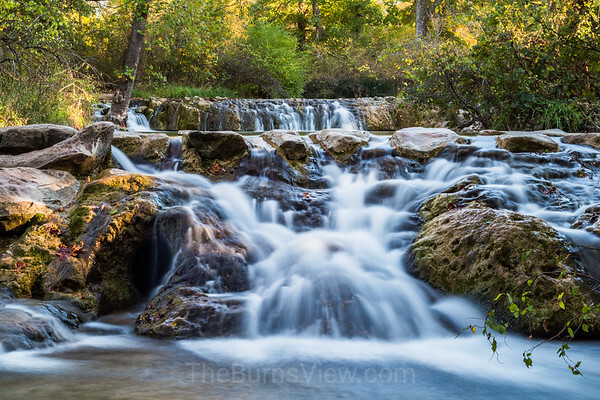 Slowing the shutter speed down to 4 seconds smooths the water of a water fall (figure 1). The longer the shutter is open the smoother the water becomes. This type of shot requires a tripod, and perhaps getting wet. A 5 second exposure turned fireworks in to a work of art (figure 2). Set your focus to infinity, aim your camera in the direction of the fireworks and shoot away. This shot also requires the use of a support such as a tripod. NOTE: If you can remotely operate the shutter, it might be possible in these cases to lay the camera on a rock or the ground and not use a tripod as long as you can aim the camera at the subject. A shutter speed of 1/1000 freezes this Great Egret as it was leaving the treetops (figure 3). 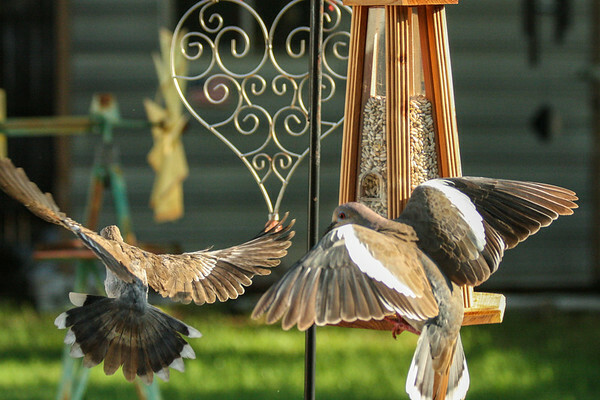 A shutter speed of 1/3200 freezes the mourning dove as they came to feed (figure 4). Another technique in freezing motion is with the use of an electronic flash. The burst of light can be used to freeze motion when you are unable to attain a fast enough shutter speed. One example is freezing the wings of a hummingbird at a feeder. I will cover this topic in another post. Many photographers have settled on using Aperture Priority for everything, including freezing motion. The rationale is that if you select the largest aperture your camera will give you the fastest shutter speed it can. While on the surface this makes sense I believe you risk missing your shot if you use this approach. If you are a wildlife photographer and want to shoot in the early morning hours and choose aperture priority with the largest aperture but your ISO setting is too low, your shutter speed will be too slow to freeze motion and you will miss the shot. I believe the proper method is to use shutter priority and Auto ISO, if your camera has it. Doing this, you can choose a sufficient shutter speed and your camera will continually increase the aperture, as needed, until it can't increase it anymore then will start increasing the ISO speed. You still ensure the shutter speed that is required to freeze motion. If your camera does not have an auto ISO setting then you will need to make sure you choose a high enough ISO speed. Another possible downfall of using aperture priority as a method of selecting the fastest shutter speed is this. If you are shooting on a bright sunny day and select the largest aperture, you might end up with a shutter speed of 1/4000, or higher, when all you needed was 1/500. You just threw away depth of field by choosing this method. How are you going to blur motion in aperture priority mode? By choosing smaller and smaller apertures. Why not just choose the shutter speed you need? The aperture, and focal length, have a direct affect over the depth of field of a shot. The smaller the aperture (larger f-stop) the greater the depth of field. Remember "big f-stop = big depth of field. small f-stop = small depth of field". The depth of field also decreases as you increase the focal length of the lens. For example, from a distance of 10' using an aperture of f/11 if you use a 14mm lens the depth of field is from 1' 7" thru infinity. If you switch to a 50mm lens the depth of field becomes 7' 1" thru 16' 10". An isolation shot is a shot where the background is out of focus because you want to isolate the subject from the background. There are apps and websites to help figure out what the depth of field of a shot will be based on the camera model, focal length, and aperture. I will get into this more on an upcoming blog. An ominous looking Emu against a background of out of focus color (figure 5) stands out much better than if the background had of been in focus. This Emu was roughly 15 feet away. I used a full frame camera, aperture f/5.6, and a focal length of 158mm. Everything from 14' 7" thru 15' 6" is in focus. That's 11" of the shot, near to far, is in focus. A rusty old pinwheel agains an out of focus fence (figure 6) creates a background that is out of focus but has interest while at the same time isolating the subject from the background. This shot was from about 5 feet away. That means everything from 4' 10" thru 5' 2" would be in focus. That's about 4" of depth of field. Storytelling shots are in focus throughout the entire shot. In this case you are trying to tell a story. 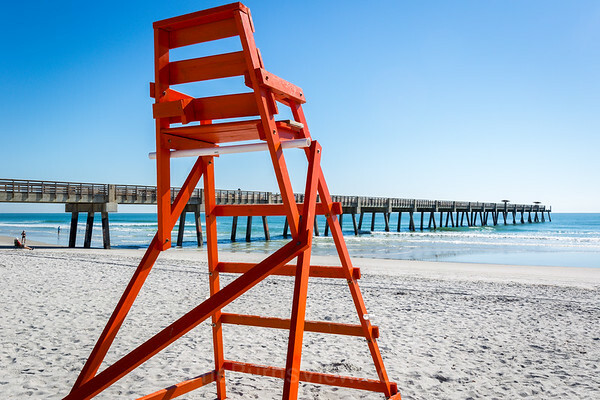 An empty lifeguard chair on beach tells the story that you should swim at your own risk (figure 7). From a distance of 10', using an aperture of f/18, and 29mm focal length the depth of field is 3' 5" thru infinity. 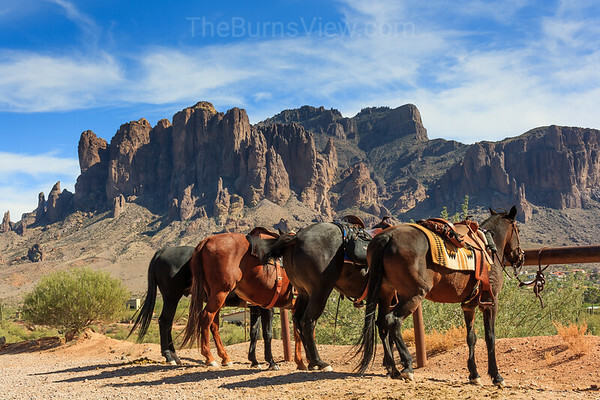 Horses tied to a hitching post in front a mountainous backdrop surely tells the story of ranchers who have gathered for a meal (figure 8). From a distance of 30', using an aperture of f/11, and a 38mm focal length the depth of field is 12' 9" thru infinity.